Hearing on whether recall will proceed set for Tues. Apr. 29 at 9 a.m.
BENTON HARBOR – The Rev. 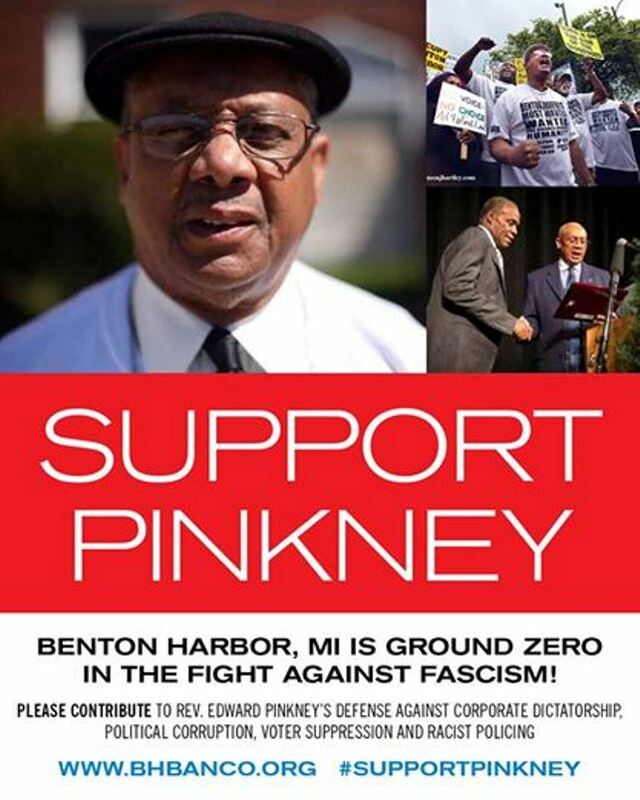 Edward Pinkney, a longtime fighter against Whirlpool’s impoverishment of this majority-Black city and Gov. Rick Snyder’s emergency management, was arrested April 25 and charged with five felony counts of election fraud, each carrying up to five years in prison, and six misdemeanors. His supporters say it is an attempt to stop the May 6 election recall of Whirlpool ally Mayor James Hightower.A SWAT team composed of Berrien County sheriffs, Michigan State police, and Benton Harbor Township police surrounded and stormed Pinckney’s home April 24, just after he left with his wife to celebrate her birthday. Youth lead march against Whirlpool and PGA May 26, 2012. Rev. Pinkney turned himself in the next morning with his attorney at the Berrien County County Courthouse, where he was arraigned on the charges. Circuit Court Judge James LaFata placed him under house arrest and banned him from using his computer. “I don’t even think that’s legal,” Pinkney said. He said supporters will still conduct his Sunday evening radio call-in show at 5 p.m. Callers can reach them at 347-994-3644. 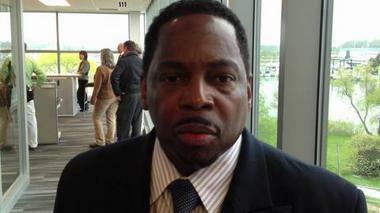 Benton Harbor citizens, including James Cornelius, who initiated the recall campaign and also faces one charge, say they want Hightower recalled because he opposed a city income tax that would include Whirlpool, the mammoth appliance corporation headquartered in Benton Harbor.A website for Rev. 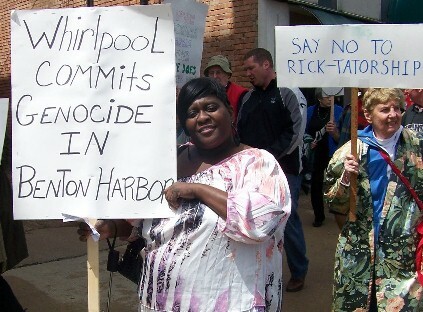 Pinkney’s organization BANCO (Black Autonomy Network of Community Organizations), describes Hightower’s alliance with Whirlpool. The site says the income tax would have charged residents and businesses 1 percent, and non-residents, who make up 90 percent of those who work in Benton Harbor, 0.5 percent. After residents voted the income tax down, Hightower took out a $2.3 million loan to finance city expenses, pushing the economically-strapped city further into debt. 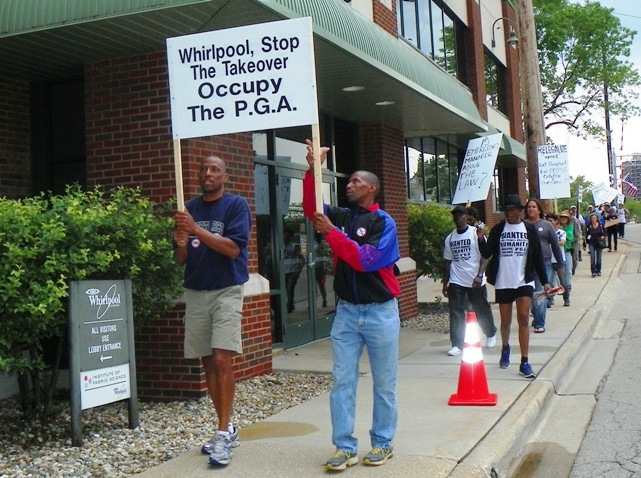 Over the past decades, Whirlpool has shut down numerous plants in the city that once employed residents, and has been conducting a massive take-over of choice Benton Harbor land, including that surrounding the gorgeous Lake Michigan beach which is part of the public Jean Klock Park. Gov. 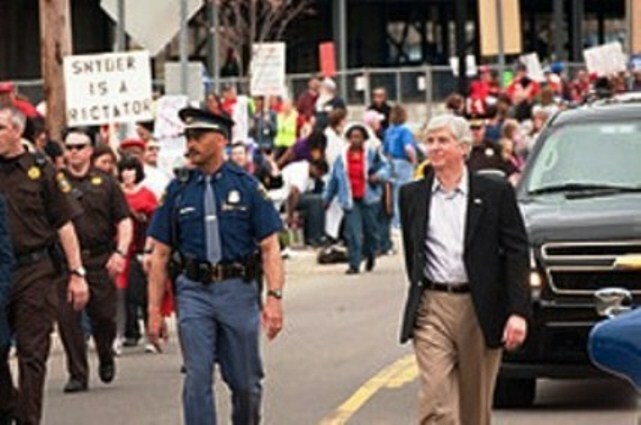 Rick Snyder is taunted by hundreds of protesters during Benton Harbor’s Blossom Time Parade, where he presided as Grand Marshal. Here he passes by construction of new Whirlpool HQ. Whirlpool has put their brand new headquarters on riverfront property in Benton Harbor, and built a luxury golf course and residential development directly off the Klock Park beach. 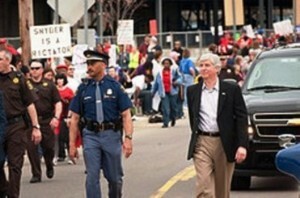 BANCO has called for a “Mass Demonstration against Voter Suppression in Benton Harbor,” to be held May 24, 2014 at 11 a.m at Benton Harbor’s City Hall, 200 Wall Street. A press conference is set for 10:30 a.m. There will be other protests planned for Rev. Pinkney’s court appearances. Rev. 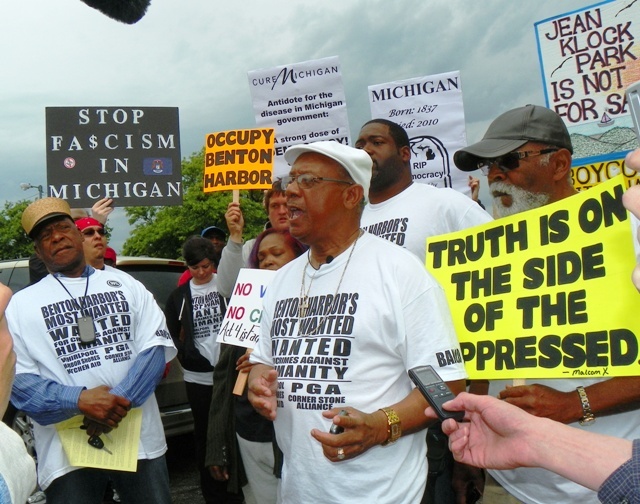 Pinkney has broad support across the country, for his battles not only against Whirlpool and Snyder, but also against police brutality and Berrien County’s racist courts. During one of those battles, he was incarcerated for quoting the Bible to a judge. For further information, call Rev. Pinkney at 269-925-0001, or go to the BANCO website at www.bhbanco.org/. Rev. 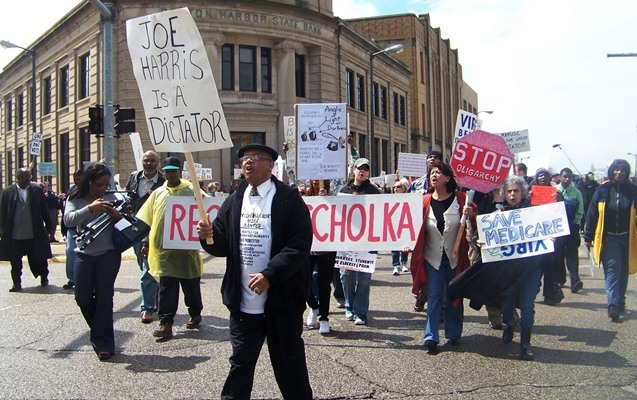 Pinkney leads first march against EM takeover under Public Act 4, that of Benton Harbor under Joe Harris. Thanks for finally writing about > FREE REV. EDWARD PINKNEY! RECALL WHIRLPOOL STOOGE, BENTON HARBOR MAYOR JAMES HIGHTOWER | VOICE OF DETROIT: The city’s independent newspaper, unbossed and unbought < Loved it!